Even with the new fixes, I am not ruling out the possibility of some issues still being present in Guild Wars (this is why we are having this Test War, haha). Please report any issues you might encounter here. It would really help if you also provide your in-game name and guild, and if you have any screenshots of the problem you are having, please also attach it here! It really helps us a lot in locating and fixing these issues, so thanks in advance for your help! Hopefully, this thread will stay short during the weekend, but you never know! One of my guildmates kept getting kicked and scores not counting. My battle went ok but his didn't. We fought against a guild which was Silver II, so I guess it did not reset for them. Yeah we fought Legionnaires and they were silver 2. My game only froze once during the battle. That's an improvement. 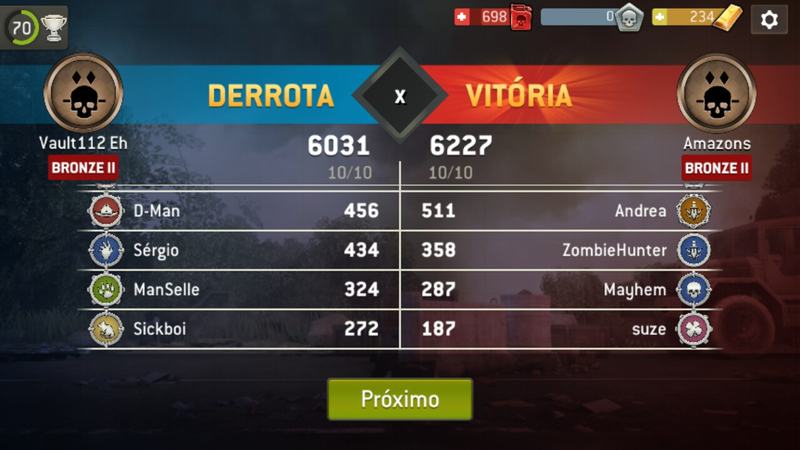 @Vane our first battle went very smooth.. This one however is a complete mess! Same issues as always.. maps aren’t closing/counting when completed.. we are getting kicked out of the guild and locked out.. People showing themselves as in the map and huge delay! Happening to pretty much everyone in the battle. Edit: just went back in after being locked out and now our scores jumped way up to probably what they should have been 20 mins ago.. when everyone stopped playing! 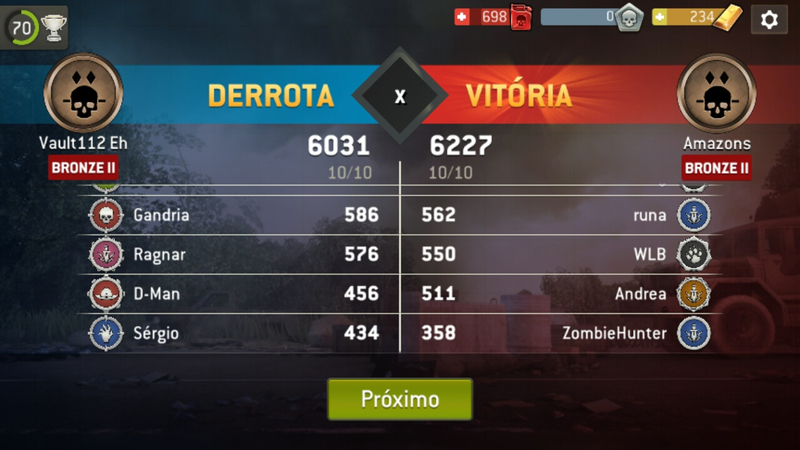 First war started okay, then it showed me battling in one area while I kept clearing another zone. Found an enemy but couldn’t battle it. Then rebooted app and got “Loading guild—will take a minute” error message. Can’t open guild chat or do any app battles now (even challenges). The same problems always... I continue with my opinion, NG should give up the GW, completely cancel this game mode. NG should concentrate entirely on improving the challenge, which has always been the best part of the game. Worse than before. All the same problems as Merk posted above. Scores not registering, not showing wars fought. Then locked out after trying to reboot. Game froze on the calculating scores screen. I closed game. Now cannot access guild. 1. Stopped showing that a level had been completed. 2. After restarting game could not sign in to battle, kept saying guild not available, when I did finally get back in, still was not showing levels had been completed. 3. At end of war game hung on the calculating scores screen. This has been worse than problems I have had before. Found enemy map. Went to complete it, and it was gone. The maps were all green. No other player jumped the map either. It was map #6. Thanks for the reports! What is happening now is server people trying out different combinations of settings, this is an expected outcome. This battle may still have issues, let’s see how the next one goes. Thanks @wrinkled_bag, the tiers is a visual issue currently, which could be the case here as well. 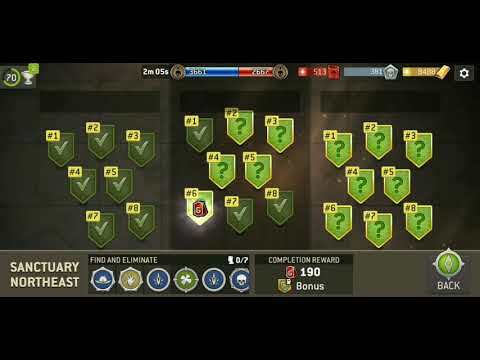 Some people were seeing enemies as Gold tier even in the first battle, which wouldn’t be possible, but it is just a visial info carried over from the previous season. Played 2 battles this morning and the first enemy showed 3 humans, but when I began the mission, the only human enemy in the map was a bruiser Glenn. Killed him and mission was over. Our guild was doing well in the first battle, but noticed our guild score was going backwards! One minute we had 3808, and a minute later we had 3784 or something. Kept happening all through the battle. At the end, we went backward far enough to allow the other guild to jump ahead. The 2nd battle I noticed the same thing happening. I don't understand how points can be deducted from our score while playing. 2nd battle we played a top guild yet again! Matchmaking needs some revamping! How can we even get a fair chance playing a guild with full teams of 9 and 10 star heroes and survivors. It seems the guilds who spend the most money are matched with a guild not even close to being in the same league! Twice we battled, and twice I watched our score going backwards, multiple time during the battle. This is the first time in all the battles I've played where this has ever happened! Just played one war so far today but the screens kept going blank after a battle. Sorry for my english, I'm from Germany. In a GW there were massive problems with the connection to the guild. This allowed many players to play only a short time. A player has only played 10-15 minutes and had over 450 points as a result. Otherwise, he only manages to do that in 50 minutes. Another player was not in the game at all. According to Chat Guilds, he has logged in the GW and scored almost 100 points in the overview. Now he still has 2 keys, although he was not in the game. This means somebody has already killed 2 other human opponents in that mission, but was defeated before managing to finish the last one. The opponent that survived is left for the next time the mission is played, while defeated opponents stay defeated. Hm, not sure about that one, sounds like some kind of synchronisation issue. I will pass it on to the dev team. What is your name and guild in the game, and during which battle it happened? Because this is only one War in the season, different (and stronger) guilds didn't have to progress to higher tiers yet, so it can have an effect on matchmaking, too.